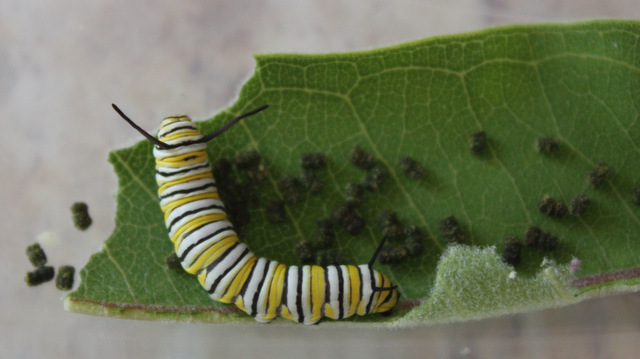 It was only a matter of time before my noticing the goings-on of monarchs in the garden turned into fostering caterpillars in our kitchen. 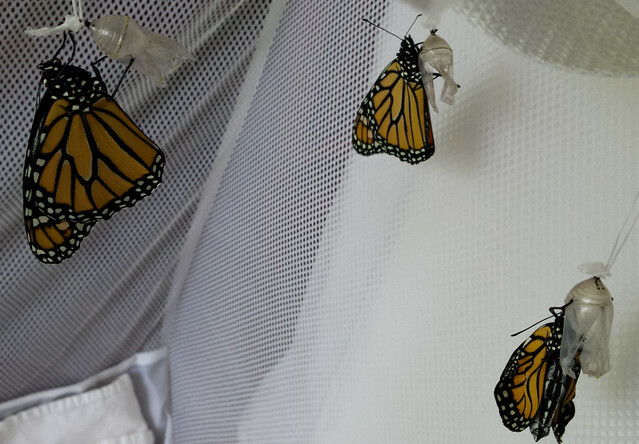 According to several monarch sites, only around 5 to 10 percent of monarch eggs result in butterflies. The rest are struck by predators (including ladybugs!) or disease. 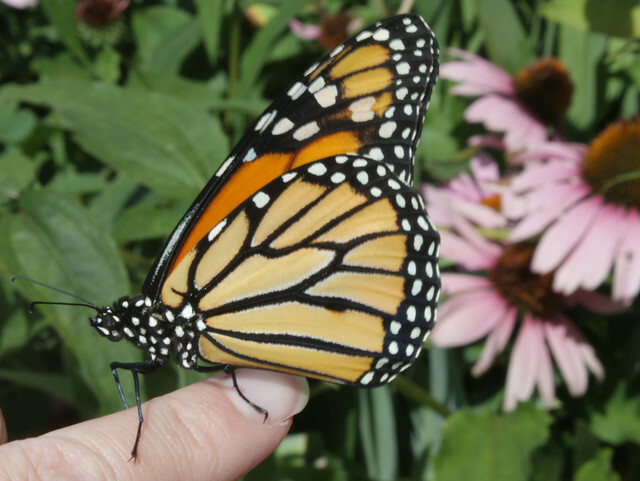 And the population of adult monarchs that overwinter in Mexico has dropped dramatically over the last several years. We’re doing our part to help the population rebound by bringing them indoors. I want to help them all, but we only have so much space (and time), so I’m doing the best I can with the ones in our care. 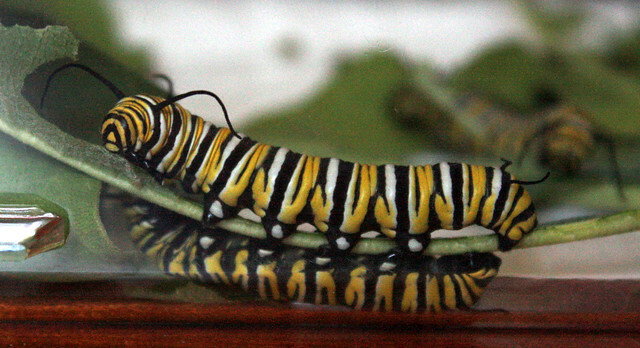 This generation, that meant nine caterpillars: three brought in as caterpillars, six that hatched inside. There also were three other eggs that didn’t hatch. 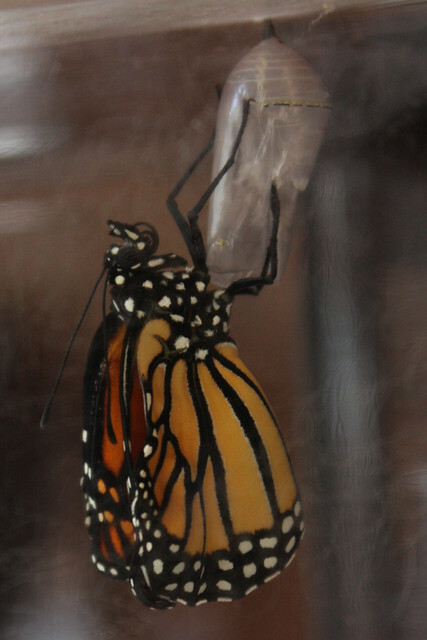 The last six weeks have been a blur of eggs, caterpillars, moltings, milkweed, chrysalises, and wings. 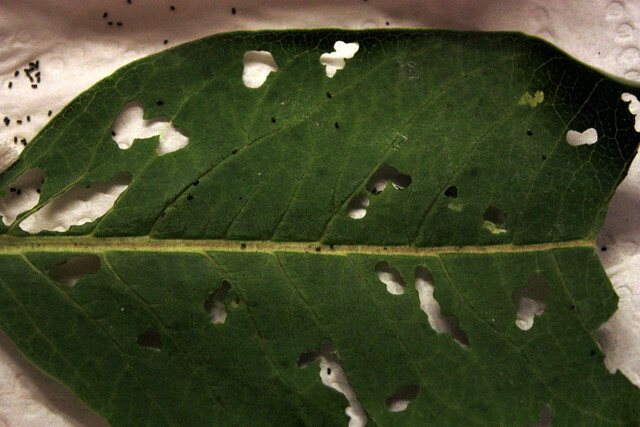 Plus dozens of milkweed leaves. And poop. Lots and lots of poop. (Or to be more scientific, “frass.”) When they’re little, the poop looks like pepper flakes. 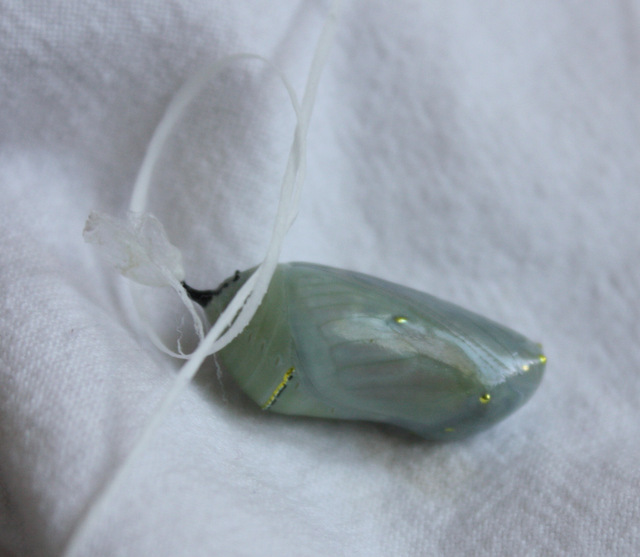 Same with “pupa” – it’s a beautiful green chrysalis. 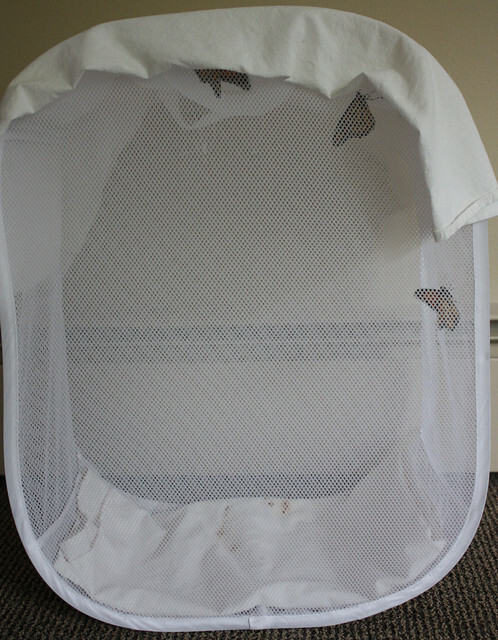 laundry hamper for when a butterfly hatches but I’m not around to let it go for a couple hours. 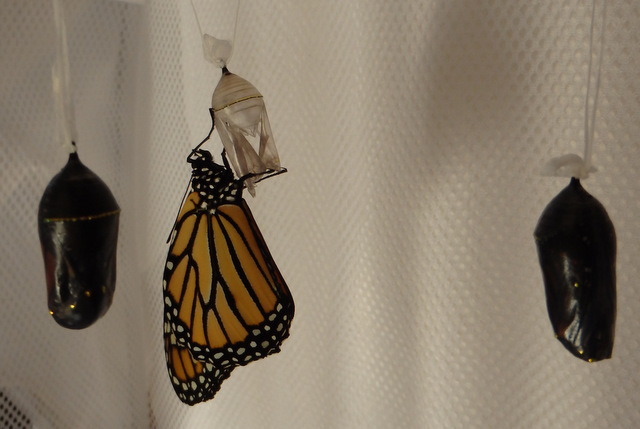 We found out with the first butterfly that after its wings are dry, it will be ready to start flying – and then it panics when it can’t climb back up the plastic walls. These hampers give them more space to move and even fly a bit. 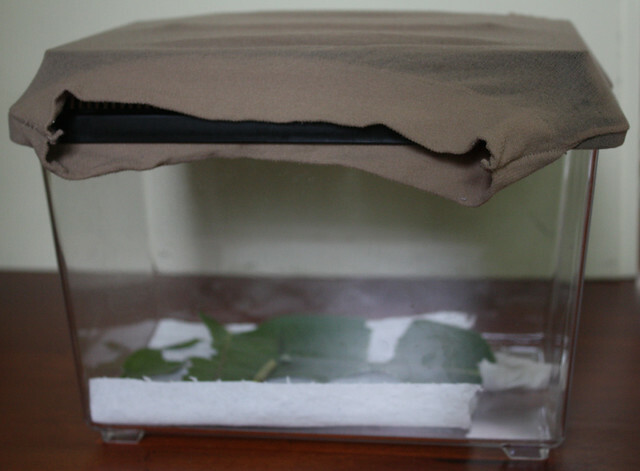 I’ve gotten pretty good at relocating chrysalises – something I never thought I would do. 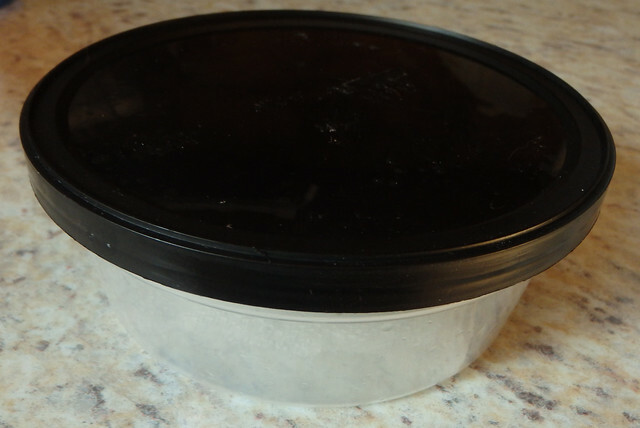 They form the chrysalises in the plastic containers, but most days, leaving them there isn’t a good idea because I am not home to release them right away. 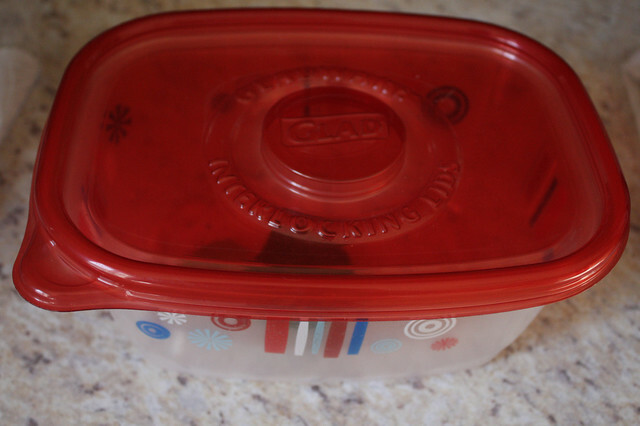 One site suggests knotting dental floss around the cremaster, and that works well. I then tie it on the strap of the laundry hamper. 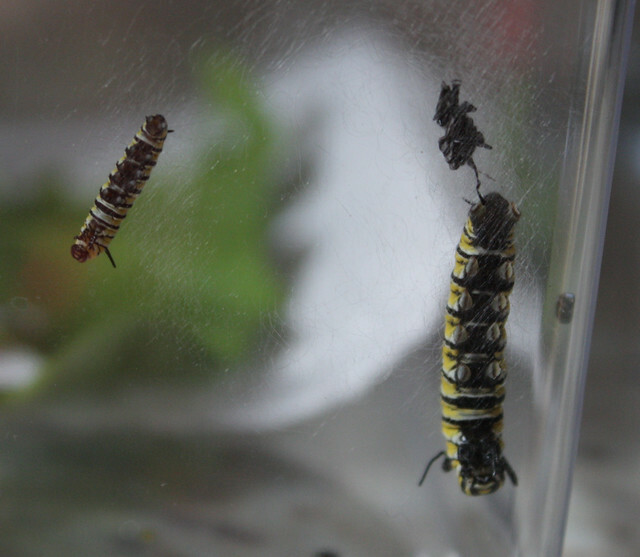 I watched two caterpillars transform into chrysalises – a process that’s both strange and exciting. 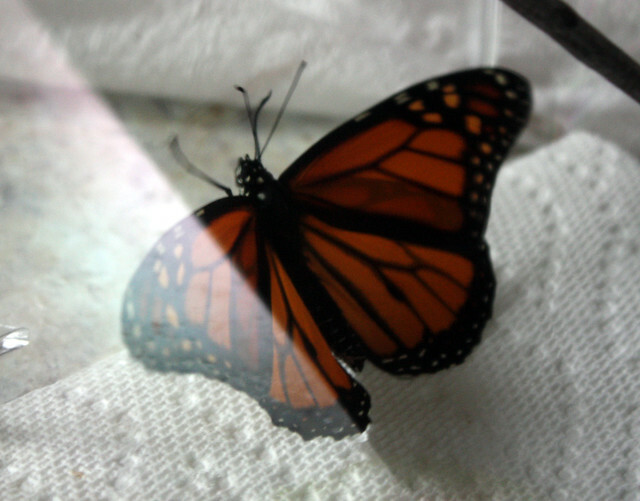 The sites say that butterflies emerge after 8 to 12 days of being in a chrysalis. 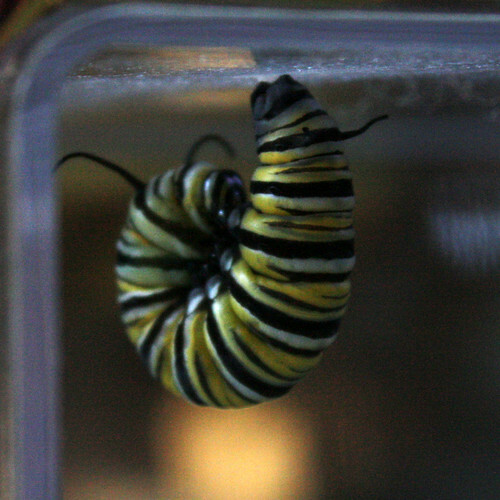 Our first chrysalis started turning dark on day 5, and by day 6 I was fearing the worst. There are a number of things that can happen, from tachnid flies to black death to the OE parasite. But my worry was unfounded: the butterfly was simply finishing earlier than expected! 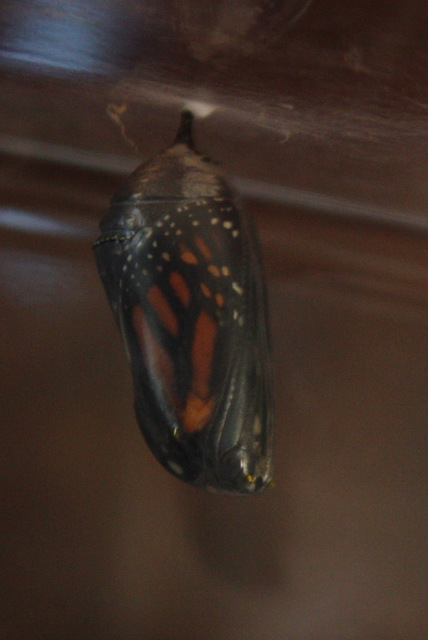 I was so relieved to see wings starting to appear through the chrysalis. Sure enough, at 8:20am – when I was in another room getting my things together to go to work – it eclosed (scientific term for emerged). The emergence happens so fast, it’s very easy to miss. Once it even happened when I was in the same room, and I still missed it! 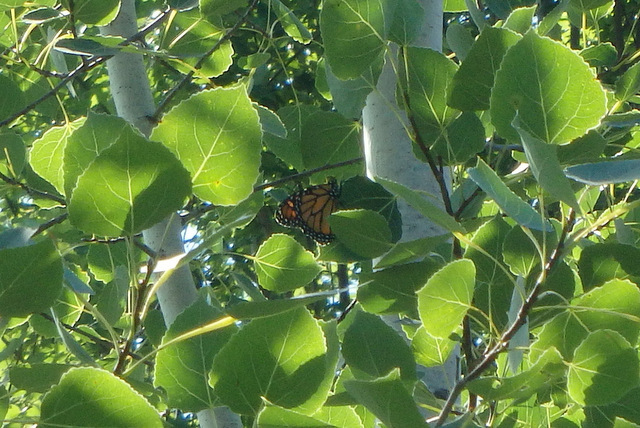 But I did see two of the nine butterflies come out. 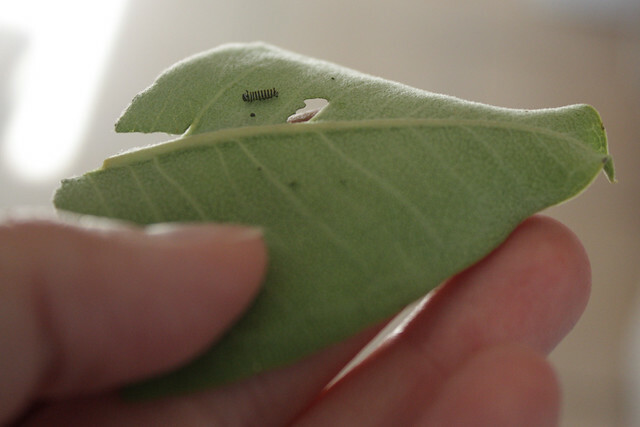 We released second caterpillar at our friends’ brand-new home; their daughters named him Eric. He took a short test flight and then rested in a tree. 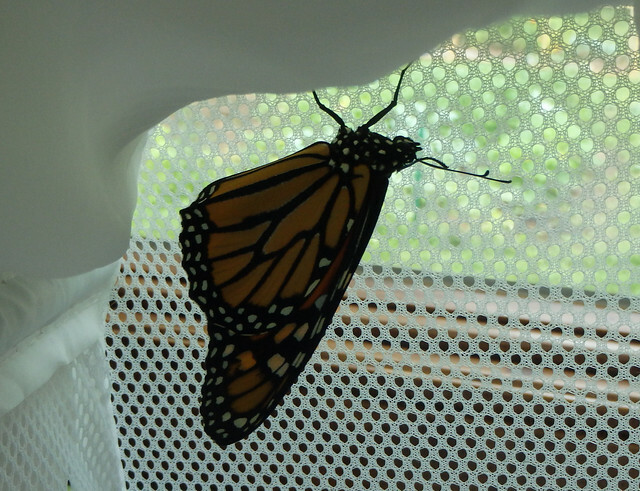 One exciting day, THREE monarchs emerged! We had to keep two overnight – one because of weather (don’t release them in the rain) and one because we weren’t home during the afternoon – and they did not like being kept inside. Though we did provide them with a delicious dinner. They eat a lot. Fortunately we have enough milkweed. 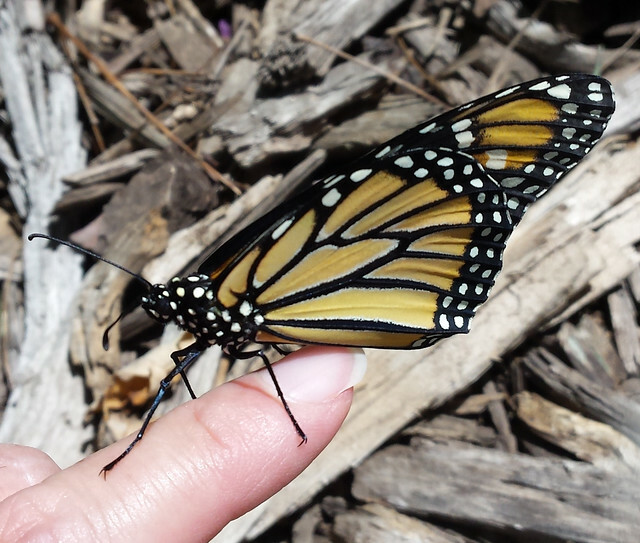 They don’t seem to like the butterfly weed, even though plenty of eggs have been laid on butterfly weed. Now that it’s late in the season, though, the milkweed isn’t looking so good. I’ve been trimming it to encourage new growth. And now: the final generation of the season is underway, the ones that will migrate for the winter. So far I’ve found two cats and four eggs. It’s a lot of work, but I think it’s worth it. 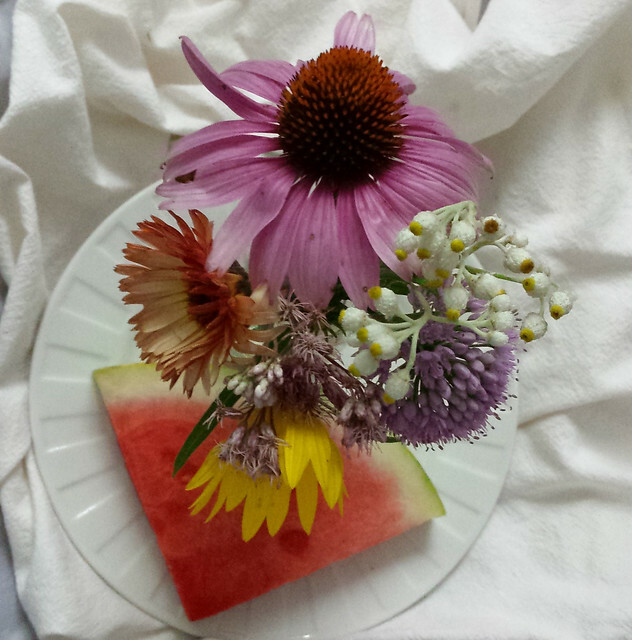 Posted in bugs, monarchs, summer.